During a discussion on the proposed fixtures schedule for 2015, Clare GAA County Board chairman, Michael McDonagh, criticised football clubs for not favouring a start date for the senior championship before July. “I am very disappointed with the attitude of the football clubs. If we don’t start our championship before the end of July, we will have several young players from the county heading out of the country,” he told this week’s meeting. Outlining the proposed schedule, Colm Browne (Kilrush), on behalf of the committee charged with putting the plan in place, said they were “left with very limited options when the national fixtures proposals are taken into consideration. The same issues and the same difficulties are there each year, with a few different parameters”. Browne pointed out a new consideration this year. In a two-page document, which accompanied the draft calendar, May 30 is proposed for the commencement of the senior and intermediate hurling championships. Round two games in the senior and intermediate hurling championships will take place in June, if possible, when results of the Clare v Limerick games are determined. The report noted, “Senior football clubs have indicated in the past their strong desire that the senior football championship would not start until late July or early August, when it would stand a better chance of progressing without significant interruption”. The proposed date for the first round of the domestic football competition is the weekend of July 25/26. “If these dates are unavailable due to inter-county activity, clubs should be aware that they may only receive six or seven days notice for the subsequent start date to the championship”. The report proposes, “To help alleviate fixture congestion, given the timeframe for starting the senior football championship, extra time to the conclusion of the game will be played in rounds one , two and three in the event of a draw and may be required in later rounds, should fixture congestion arise”. – The opening round of the Clare Champion Cup and the various hurling leagues is set for April 4. Outgoing Munster Council delegate, John O’Sullivan, reminded the meeting that “the Munster Council gave us leeway last year with the football championship but only after we appealed. However, they told us that this will not be the case this year and a start-up date for the senior football championship of July/August will not be acceptable”. Michael McDonagh asked if it would be possible to have a round of both championships in April. Repeating that July is too late to start the football, he said, “We will have to revisit the whole structure if we are not allowed to start on that date”. Clonlara chairman Flan Mullane said any decision on the football championship should not be confined to football clubs, as hurling clubs are affected because of the involvement of dual players. Inagh-Kilnamona’s Paul Gannon disagreed with McDonagh’s suggestion of having a round of the championships in April. “You have to give clubs a chance to play leagues,” he noted. Clondegad’s Seamus O’Reilly expressed concern that round two of the Cusack Cup is scheduled for March 28, a day before Clare play Limerick in the National Football League. He asked if this meant that clubs would be asked to play without their county players. He also expressed concern at the suggestion that clubs will be asked to play Clare Champion Cup (on Saturday) and Cusack Cup (on Monday) games over the Easter weekend, when the county footballers will have a league tie on the Sunday. He claimed this will see some players in action on all three days. Feakle’s Mike Daly asked if any consideration had been given to the Leaving Certificate exams, when looking for a date for the first round of the senior hurling championship. He said five members of his club’s panel will be involved at senior level. Fixtures committee member, Michael Maher said, in his view, playing the first round of the Senior Hurling Championship on the date proposed won’t work. Ballyea manager, Robbie Hogan also expressed concern about the proposed date, stating six of the Ballyea senior panel will be involved in Munster senior hurling and football action a week earlier. 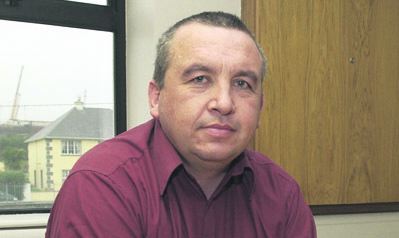 Miltown’s Noel Walsh suggested that officials should contact Munster Council to ask if they will accept the proposal and board secretary, Pat Fitzgerald, said he would organise the meeting. Wolfe Tones delegate, Chris Price said extra time should be introduced for Munster championship games, to help free up more time for club fixtures. Cratloe hurling manager, Joe McGrath queried if there could be a round of the hurling championship in May and a round of the football competition in June. Clondegad delegate, Seamus O’Reilly asked if any thought was given to playing league games mid-week. “That’s the answer,” commented Pat Fitzgerald, adding “It would be great if a round or two could be played in mid-week”. Answering a query from Sixmilebridge delegate, Pat Keane, if any changes had been made to the format of the Clare Champion Cup, Fitzgerald said “a review of all the leagues is needed”. Clarecastle’s Bernard Hanrahan warned that his club will agree “to very few postponements this year”. “Last year, we asked for a postponement for one week, as we had three players away. We didn’t get it and it cost us €1,600 to bring them back,” he noted. Lissycasey chairman, Eamonn Finnucane noted that the proposed schedule had no club football in June or July and he asked if the start of the Cusack Cup could be delayed. With regard to the proposal for the senior championship, he noted that “it ran well last year and Cratloe had time to prepare for the Munster campaign”. Delegates were asked to take the proposals back to their clubs and to come back with any changes. They were also asked to seriously consider the playing of at least two rounds of league games in mid-week. Delegates will return to make a final decision on the plan on Tuesday, February 3.